ePublishing Knowledge BaseePublishing Knowledge BaseePublishing Knowledge Base Creating and Managing Directories & Buyers GuidesHow do I use the Request for Quote (RFQ) Form? ePublishing has a new Request for Quote (RFQ) Form available for you to use. This form allows readers to submit requests on your website to companies listed in your directories. Set up a Thank You/Confirmation Page first before enabling your RFQ form. Before using this form, you will need to create a page with the URL /rfq-thankyou. 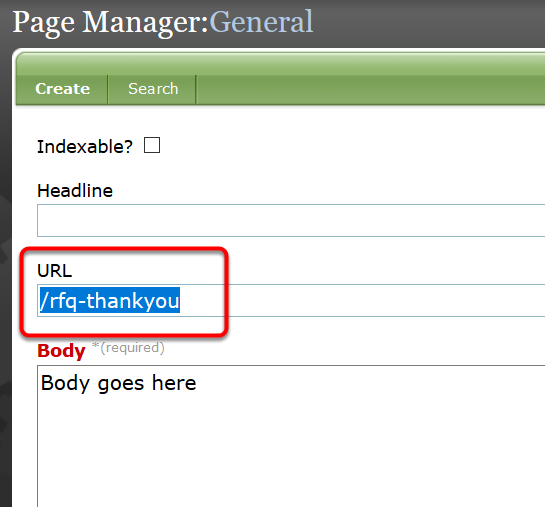 (See below where the URL should be set in the Page Manager when creating your page. This page can be as simple or as elaborate as you'd like - but the purpose is page to let the reader know that their form was in fact submitted. The user can click their back button in the browser to return to the listing if they'd like. Learn how to create this Thank You/Confirmation Page using the Page Manager: How do I create a landing page? To enable your RFQ form on premium listings, go to your system settings under Sys Admin. Click Create & Edit. Scroll down to directories.rfq.-premium.enabled and click Edit. Change the Value (circled below) to "true" if you want the RFQ to appear. 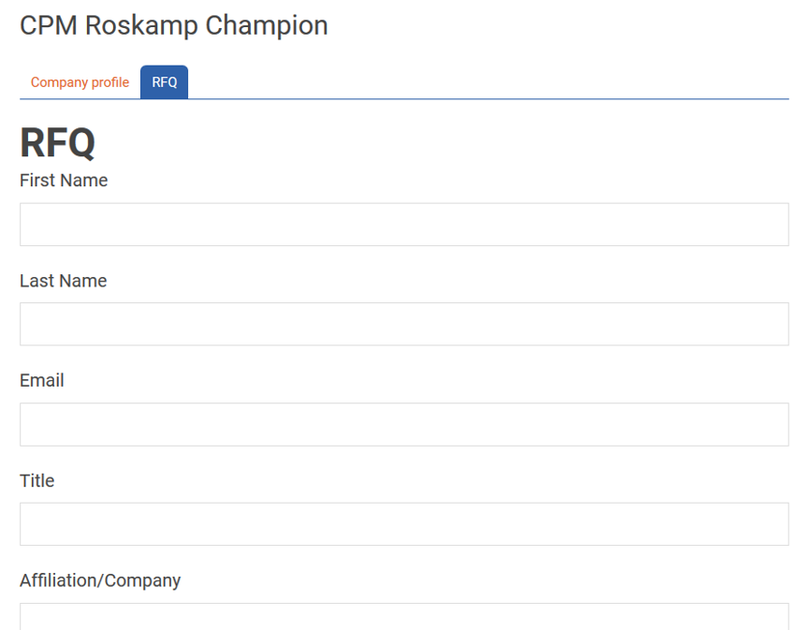 When set as true, this displays the RFQ subform on individual directory listings that are tagged as premium listings. Zoom: Enable your RFQ form. Contact your Solutions Manager to assist with enabling RFQs on your site. Prev: What are the field validators for Directory API imports? Next: How do I limit/restrict the number of categories readers can select when purchasing or editing Directory Listings?